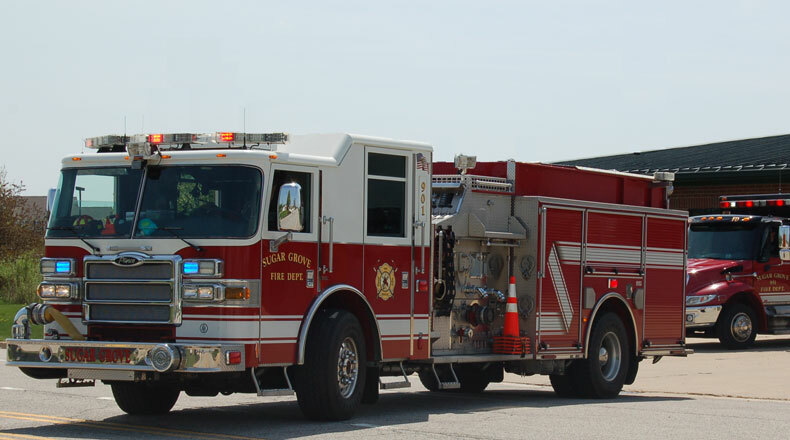 The Sugar Grove Fire Protection District was established to provide the citizenry of the Sugar Grove Fire Protection District with professional fire suppression and emergency medical services. The District must constantly strive to attain, as well as maintain, the confidence and respect of the community for which it serves. This can only be accomplished through the constant and earnest efforts of all department members to perform all duties and assignments in an efficient, honest, and professional manner. We offer comprehensive CPR classes to those who work or reside within the district. NOTICE is hereby given that the SUGAR GROVE FIRE PROTECTION DISTRICT is accepting sealed bids for the purchase of a Brush Truck Skid Unit. Specifications and bid packets may be obtained starting Monday March 25, 2019 at its headquarters fire station located at 25 S. Municipal Drive Sugar Grove, IL 60554, Monday through Friday from 9am to 4:30pm. Sealed Bids will be accepted at the fire station until 6:00pm on April 15, 2019 and no late bids will be accepted. The sealed bids will be publicly opened at the headquarters fire station at 6:05 P.M. on April 15, 2019. The Sugar Grove Fire Protection District reserves the right to reject any or all bids received, to waive any formalities or technicalities of the Bid or to reject any non-responsive bid in the interest of the District.